Improve lip volume with absolutely natural results. 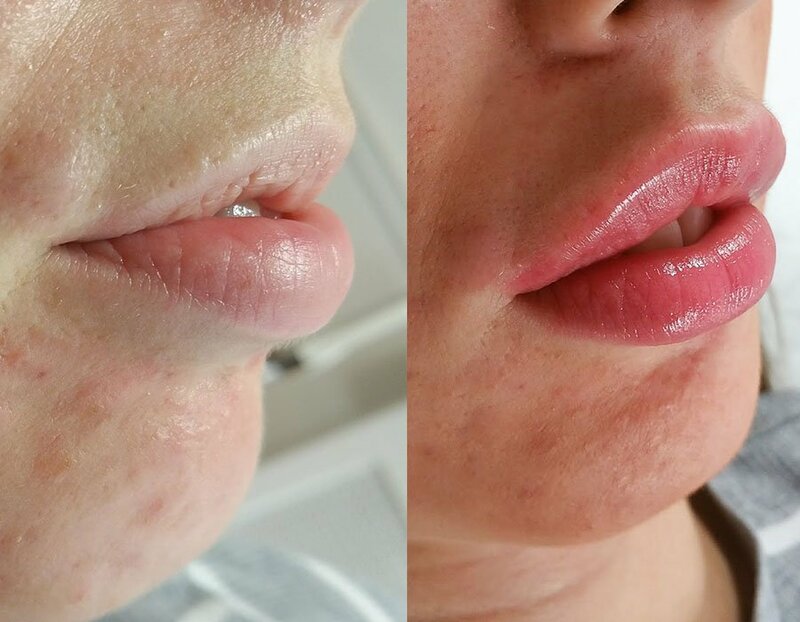 "From natural enhancement, to a plush pillow lip effect we provide unparalleled lip filler results. We only use the premium Juvederm Vycross products, widely regarded as the best lip filler product in the world. 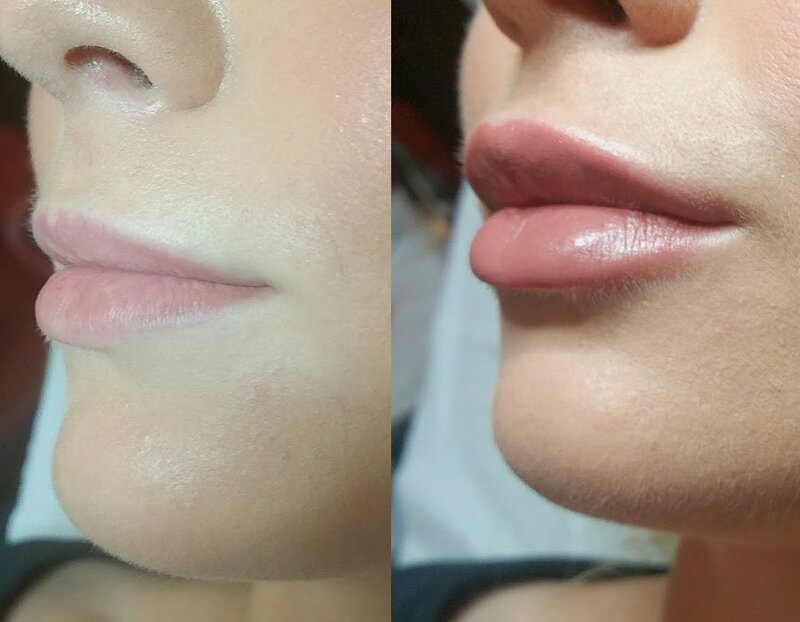 The creamy nature of the product results in unparalleled smoothness"
If you feel concious of your lip size, or would like to have more lucious volume, Juvederm dermal filler injections can provide spectacular results. Hyaluronic acid is naturally produced in the human body, and micro-injections in the lip can enhance volume and hydration. We use the ultra premium Juvederm Vycross for lip augmentation, other lip fillers products are simply sub par. Injected solely by Dr Adil Sarwar, who has developed an incredible technique through years of experience whilst working for the world renound Harley Street Skin Clinic. Our lump/bruise rate is remarkably low. He has multiple testimonials on realself.com from patients delighted with the result of their lip augmentation. Careful analysis of your lip anatomy and contour from different angles/lighting will lead to an injection strategy. We shun cheaper needles and cannulas using premium award winning ultra-thin Japanese needles, resulting in a smoother, less painful and safer experience. After agreeing on a treatment plan topical ansthetic cream will be applied for 20 minutes whilst we show you previous before/after shots. The skin is cleaned thoroughly, the procedure itself is not painful, if preferred, a custom-made proprietary vibratory pain relief device will be used , a revolutionary method to reduce the sensation of pain. Injections take roughly 30 minutes, we never ever rush. Post procedural photographs will be taken, mineral make up applied and Dr Adil will talk through after-care with you in detail whilst you sip on a cool beverage. We will endeavour to make sure you are delighted with your new lips. What substance is injected into the lips? Why does Skin Science Clinic choose Juvederm Volift for lip filler augmentation? Is the procedure painful and what is the downtime? Nothing but pure hyaluronic acid is injected into our patient’s lips. Hyaluronic acid naturally exists in all of our cells, but degrades as the human body ages. Injections of this cream/gel like compound into the lip mucosa will improve volume and moisturise/enhance the texture of the skin. This is without a doubt the safest manner in which to beautify and restore lip volume, as hyaluronic acid can be easily dissolved if necessary. Juvederm is a globally renowned brand, with multiple independent scientific studies authenticating its safety in the human body. At Skin Science Clinic we refuse to inject any filler brands “new to the market”. Through years of treating/injecting patients lips, we found the creamy texture of this product volumising without the dreaded rubbery, hard or “fake” look other products elicit. The product’s smooth consistency, under an experienced doctors hand, produces beautiful results -in a recent study 98% of patients reported complete satisfaction with their lips through Juvederm injections. This is very much dependant upon a patients natural anatomy. A patient with very thin lips may require two-three sessions to achieve their desired look, others may just require one. As patient safety is of utmost importance, we will only inject a maximum of 1ml of dermal filler per session, the price of which is £320. For those patients looking to correct any natural asymmetry, or seeking an absolutely subtle improvement, half a syringe may be sufficient (price of which is £220). Book a free consultation with Dr Sarwar to further discuss your treatment plan. 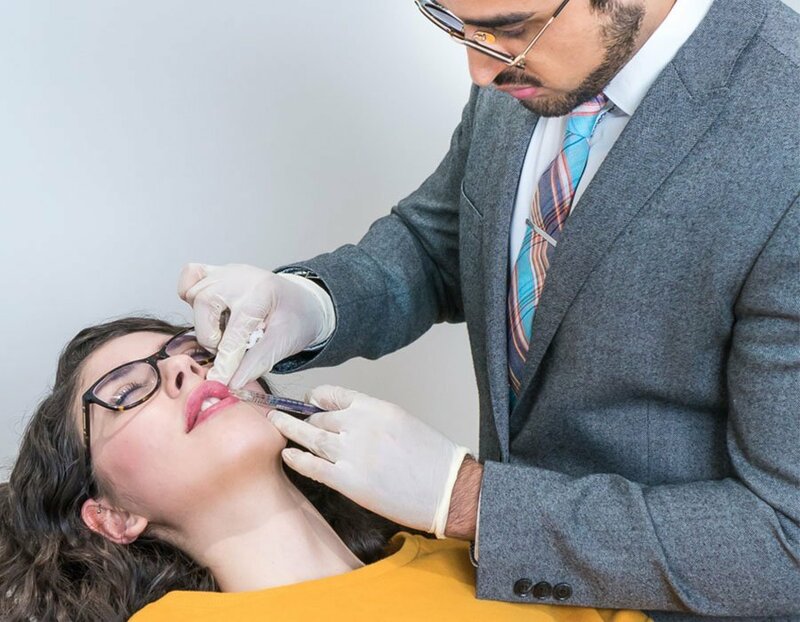 Pre-procedure we apply a strong, premium topical anaesthetic (cream) for twenty minutes, which numbs the lip area resulting in the procedure being completely tolerable for patients. Strategic injections through ultra fine needles provides razor-sharp definition with minimal discomfort. Ice packs are applied post procedure to minimise immediate swelling and bruising, and we are happy to apply lip balms immediately post procedure. (Please note swelling and bruising may be somewhat worse the next day).The final result is visible two weeks post lip filler procedure. Juvederm Volift results normally last a year, but due to the mobile nature of lip tissue, the product normally lasts between nine months to one year. Many of our patients however choose to refresh/top them up every six months, this is very much dependant upon our patients personal preference. We can however assure you that Juvederm Volift exhibits impressive longevity when compared to other dermal filler products.